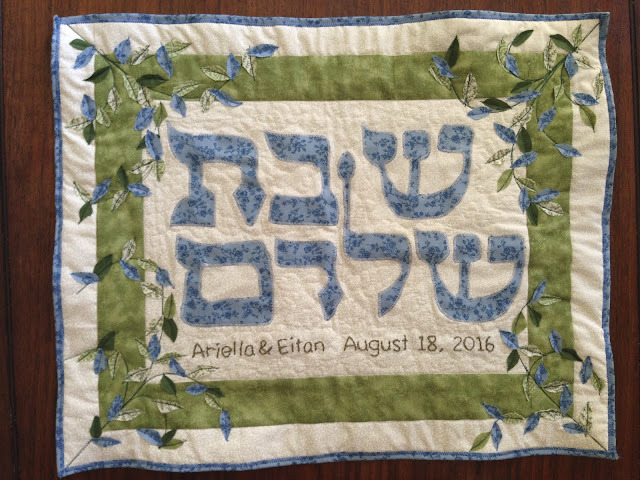 This challah cover was a present for bride and groom Ariella and Eitan on their wedding day. 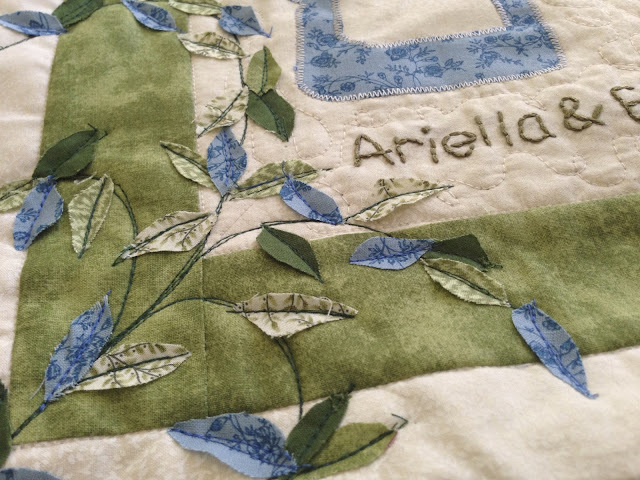 It is a similar design to Ruthie & Yale's challah cover, but the person who ordered this one requested leaves and branches on both sides! Ask me today about designing a challah cover for you or as a gift!